Today, I’m teaming up with one of my favorite companies, California Olive Ranch, for a summer grilling extravaganza called “Grilling Across America”. We’re bringing you regional grilling recipes from across the USA, and I’m excited and honored to be representing the Northeast with this Grilled Stuffed Quahog recipe. But nothing, not even fresh seafood, showcase what Northeast grilling is all about more than America’s Grill Master, Steven Raichlen. If you’re a grilling fanatic and have not heard of Raichlen, you’re not a real grill fan. 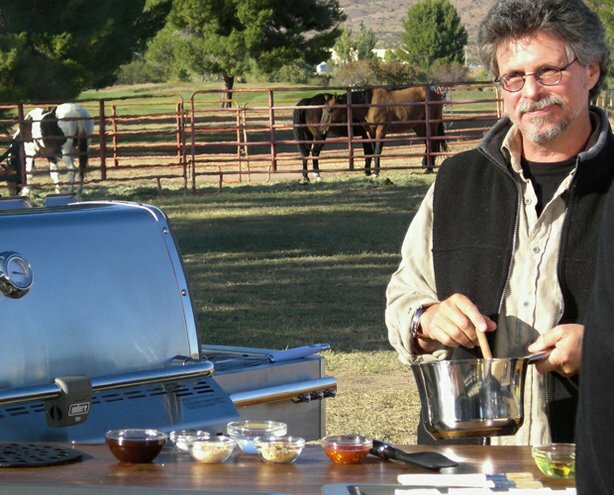 Steven is a multi-award-winning author, journalist, cooking teacher (Barbecue University at The Broadmoor in Colorado! 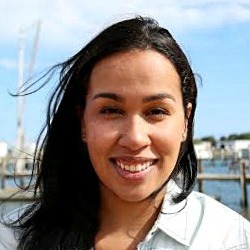 ), and TV host. He is considered to have reinvented barbecue. The man has sold over 5 million copies of Barbecue Bible! I had the pleasure to work for Steven last summer on a social media plan (you can follow him on Twitter and like him on Facebook! ), but more than social media, we chatted grilling. Did you know the Dominican Republic is like the birthplace of grilling over a fire?! YES. My birthplace is the birthplace of summer grilling! Steven constantly shared his favorite recipes to grill as well as tips and tricks. The man loves seasonality on Martha’s Vineyard – whether he is grilling Chappaquiddick Clams Casino or sipping on Katama Kirs, he is a fan of local foods. You might even run into him at Morning Glory Farm in Edgartown during the summer months! Steven considers olive oil “liquid gold” and uses it in everything from marinades to grilled salads. Read more about his love for olive oil in grilling over on Barbecue Bible. Using the Miller’s Blend from California Olive Ranch in this recipe both in the cooking of the stuffing and as a finishing touch, the olive oil stands up to the flavors of the dish since it’s so robust and flavorful. 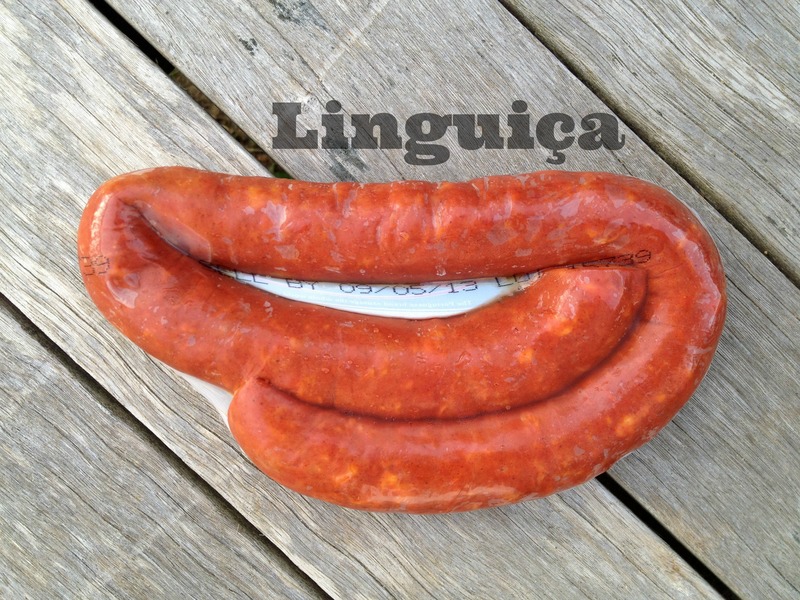 “Linguiça (Portuguese sausage) was brought to Martha’s Vineyard and Massachusetts in the 19thcentury by Portuguese seafarers who came to New England to work the whaling ships.” -Steven Raichlen. 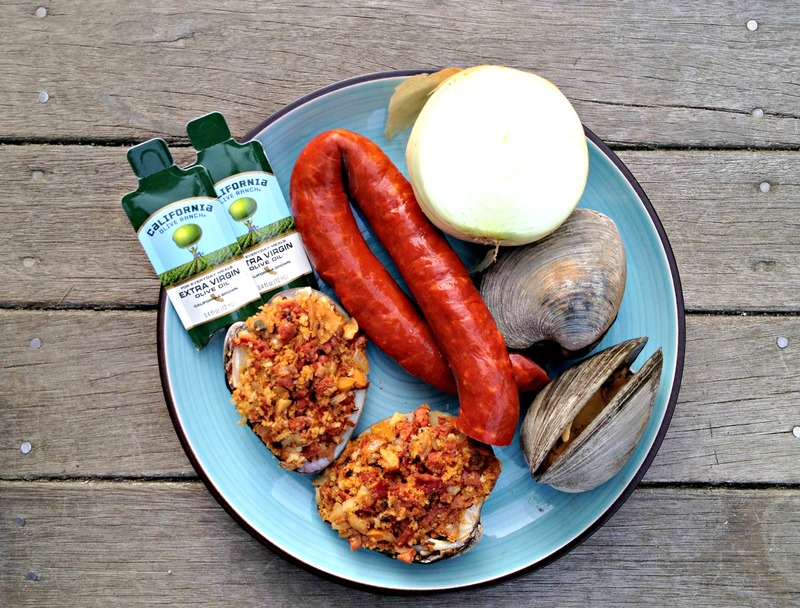 Inspired by Steven’s Littleneck Clams with Linguica, these Grilled Stuffed Quahogs will be the highlight of your barbecue this summer. Prepare the quahogs ahead of time and refrigerate. Once you arrive to the barbecue, just throw on the grill! A classic appetizer in the Northeast, Stuffed Quahogs are grilled and served with a drizzle of fresh flavored olive oil. 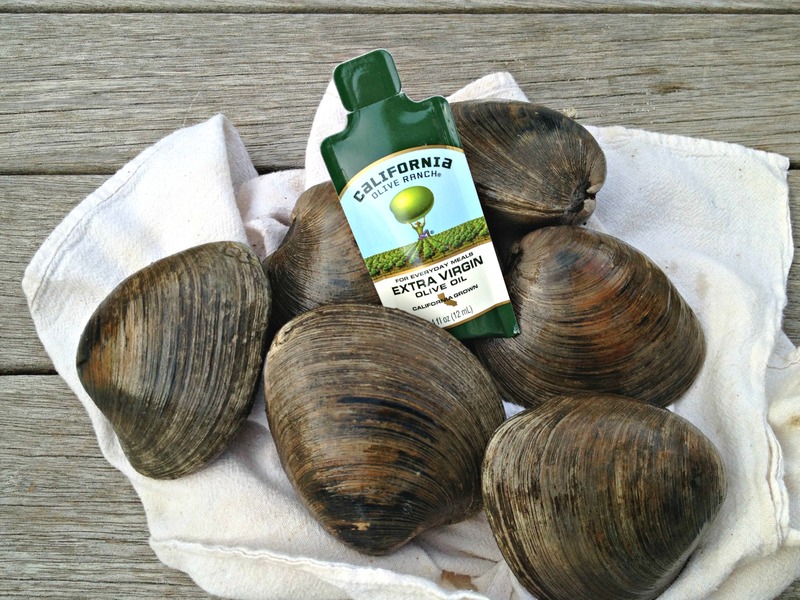 Scrub the quahogs clean and in a cast iron pan on your grill filled with an inch of water, steam the quahogs open. Discard any quahogs that do not open. Gently pry the shells open and remove the quahog meat, saving the shells. Toss with a drizzle of olive oil and grill for 30 seconds on each side. Remove from the grill, roughly chop, and set aside. In the cast iron pan over the grill, sauté the sausage, onion, garlic, and breadcrumbs. Remove from heat and fold in the grilled, chopped quahogs. Stuff the empty shells with about 1/2 cup of stuffing each and place on grill for 5 minutes, covered. To serve, whisk the olive oil, cilantro, lemon zest, and garlic. 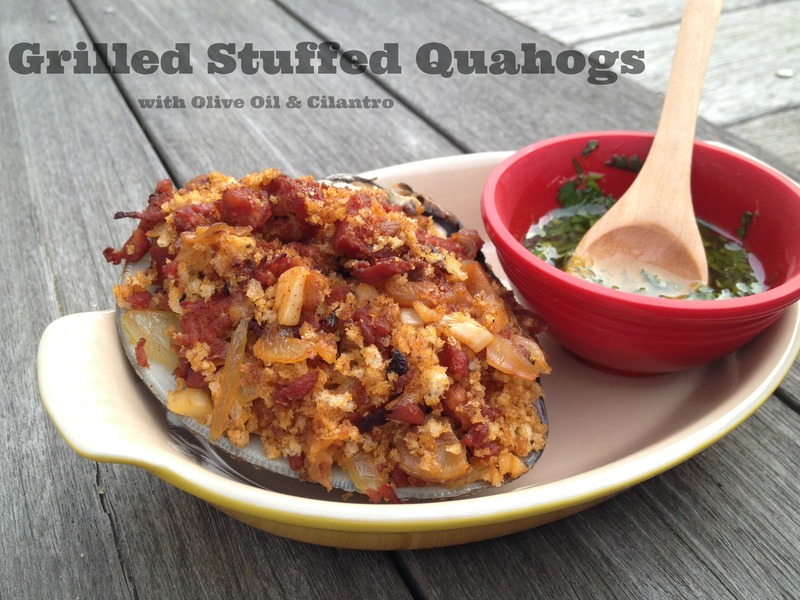 Drizzle over stuffed, grilled quahogs. Disclosure: I’ve partnered up with California Olive Ranch not only because I love the concept of Grilling Across America, but because I use and purchase their olive oil on a regular basis. They’ve sent me a bottle of oil to inspire me to create this post. Oh yeah, these look good! And my boyfriend and I have definitely heard of Stephen Raichlen. We have a few of his BBQ cookbooks! I have never prepared quahogs, nor tasted some as delicious as these. Wonderful recipe Marnely! So cool that you’re representing our neck of the woods! I’ve never had a quahog, but next time I’m in the MV or Cape Cod area, I’ll be sure to try one! also, entering that contest now, because 12 bottles of olive oil would be prize enough for me, hah!